It is a momentous day in the online gambling world as Amaya Gaming Group Inc. (AYA on the Toronto Stock Exchange) has inked a deal to acquire Oldford Group Limited, which is the parent company of Rational Group Ltd. Rational Group Ltd. is the owner and operator of two of the largest online poker sites in the world, Pokerstars and Full Tilt Poker. According to the terms of the deal, Amaya Gaming Group Inc. will acquire 100% of the shares in Oldford Group Limited for a purchase price of $4.9 billion USD. The transaction will see Amaya Gaming Group Inc. become the world's largest publicly traded online gaming company. Per the terms of the deal, Mark Scheinberg and the other principals of Oldford Group will dispose of their shares and step down from the company. Isai Scheinberg will also completely sever his ties with the company. -$2.1 billion in senior secured credit facilities in the form of a $2.0 billion first lien term loan and $100 million revolving credit facility underwritten by Deutsche Bank AG, Barclays Bank PLC and Macquarie Capital Inc. 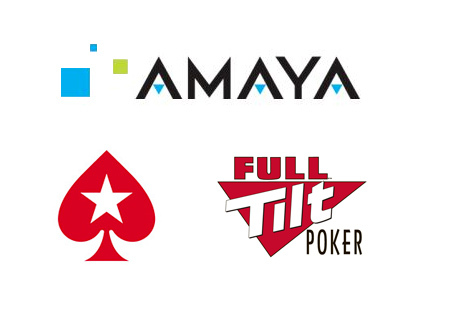 According to a press release, Amaya said that they believe that the "transaction will expedite the entry of Pokerstars and Full Tilt Poker into regulated markets in which Amaya already holds a footprint, particularly the USA."